L. Owen Clinton (’39 Fine Arts, ’40 Ed. ), 100, January 30, 2018, San Diego, California. Gordon A. A. Smith (’40 Elec. Eng. ), 99, September 19, 2017, Spokane. Jack McVicar Hayne (’43 Busi., Lambda Chi Alpha), 97, February 26, 2018, Conrad, Montana. James Conrad Stover (’43 Civ. Eng. ), 96, March 19, 2018, Richland. Robert Pearse Gibb (’44 Pre-Med. ), 95, July 16, 2018, Bellingham. Dorothy B. Davidson (’47 Chem. ), 92, June 5, 2018, Monroe, Wisconsin. William F. Johnson (’47, ’70 MS Civ. Eng. ), 94, January 10, 2017, Clarkston. Donald R. “Don” Taylor (x’47, Alpha Tau Omega), 94, July 9, 2018, Kalispell, Montana. Ann Elizabeth Danby (’38 Busi. ), 101, December 2, 2017, Eugene, Oregon. Albert H. Adams (’41 Gen. St.), 97, November 27, 2017, Green Valley, Arizona. Lena “Lee” Corral Barry (’41 Home Econ. ), 100, January 10, 2018, Castro Valley, California. Mavis L. Engelland (’41 Phys. Ed. ), 97, December 25, 2017, Gig Harbor. Herman E. Petway (x’41 Ed. ), 99, January 2, 2018, Vineland, New Jersey. Kenneth William Sax (’41 Mat. Sci. ), 99, January 9, 2018, Sacramento, California. Elaine Berry (x’42 Lib. Arts), 100, October 30, 2017, Wenatchee. Edna J. Fast Maguire (’42 Busi. ), 96, December 22, 2017, Wenatchee. Necia Bennett Huntley (’35 History), 104, September 24, 2017, Olympia. Lyle G. Nicholson (’37 DVM), 102, August 9, 2017, Hood River, Oregon. Lucile Ramsey Cavanaugh (’39 Home Econ. ), 99, July 21, 2017, Winchester, Massachusetts. Sarah Schlademan Hall (’41 History), 97, August 12, 2017, Everett. Aurel A. Hays (’41 Hort. ), 100, March 29, 2017, Rancho Mirage, California. H. Robert Ripley (’41 Gen. St.), 94, June 27, 2015, Castro Valley, California. Maurice R. Smith (’41 Arch., Sigma Nu), 99, November 13, 2017, Yakima. Maxine Spencer Green (’43 Psych. ), 95, June 19, 2016, Bellingham. Kathleen Irwin (x’36 Lib. Arts), 102, May 25, 2017, Spokane. Betty S. Mottet (’38 Busi. ), 100, May 14, 2017, Santa Rosa, California. Jean C. Austin (’39 Gen. St., Kappa Kappa Gamma), 100, July 2, 2017, Seattle. William Ray McGee (’39 Vet. Sci., ’40 DVM), 100, August 4, 2017, Naples, Florida. Frances C. Uhden (’40 Music), 98, May 30, 2017, Spokane. Mary-Lou Day (’42 Home Econ., Delta Delta Delta), 96, June 17, 2017, Fort Collins, Colorado. Ralph Berg (’43 Zool. ), 96, June 2, 2017, Spokane. John J. Majnarich (’45 Phys. Sci. ), 95, June 19, 2017, Preston. Catherine C. Hyslop (x’38 Ag., Alpha Gamma Delta), 100, May 4, 2017, Spokane. Leila B. Kayler (x’40 Pharm. ), 95, February 25, 2017, Odessa. Elma Ryan-Bornander Anderson (’41 Speech and Hearing Sci. ), 98, April 10, 2017, Seattle. 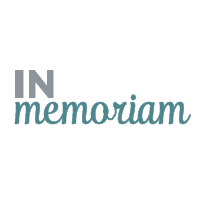 Robert Arleth Stier (’42 Gen. St.), 95, December 21, 2016, Olympia. W. James Wride (’43 Phys. Sci., ’46 MS Chem. Eng. ), 95, March 17, 2017, Bartlesville, Oklahoma. Robert J. Beaubier (’46 Forest & Range Mgmt. ), 99, September 17, 2016, Lewiston, Idaho. Betty J. Sunofsky (’46 Home Econ. ), 93, April 8, 2017, Long Beach, California. Arthur R. MacKelvie (’47 Comm. ), 94, April 10, 2017, Spokane Valley. Bob Smawley, “Mr. 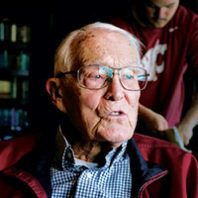 WSU,” embodied what it meant to be a Cougar for generations of Washington State University students, staff, and alumni, through his selfless service to the University, his caring nature, and his deep knowledge of WSU history, all delivered with a dry sense of humor and true compassion. For over six decades, Smawley worked under six WSU presidents in several departments, volunteered and led in the Alumni Association, taught many the history of WSU through engaging slideshows, and mentored thousands of students.